One of the very few council approved 4x4 parks in N.S.W. The property is located on Hill End Road at Avisford via Mudgee. The park has a great deal to offer the 4 wheel driver from 4 wheel driving in your Landcruiser Prado to the more extreme vehicle. There is something for everyone. The beautiful property offers 1500 acres to explore by 4wd or on foot. The park has an historic past and there are quite a few old gold mines scattered around from the 1800's gold rush. They are truly amazing to see. The property also backs onto the Meroo River where native species such as redfin can be caught. There is also prime camping available along the riverbank. 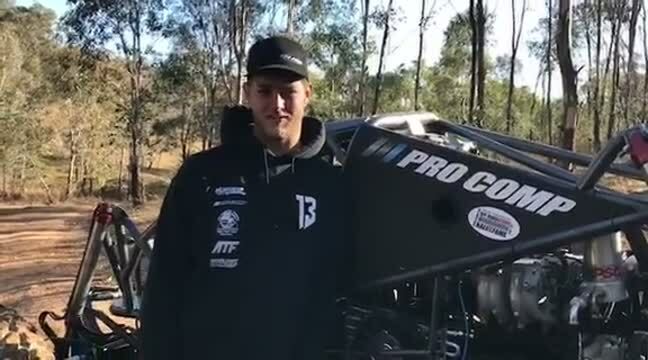 Here we have Justin Hall all the way from America putting the JMW Procomp buggy through its paces at Central West 4wd Park. Justin is one of the best extreme 4 wheel drivers in the world and just came in second place in the Ultimate Rock Sports Supercrawl event. The property has great river front camping spots. Camping spots are plentiful on the property. © 2018 Central West 4wd Park . All Rights Reserved.